Save $3.48 on Your Order with Advantage Today! I am surprised to see that canola oil and soybean oil are used in this cereal. 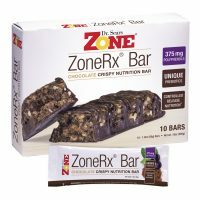 These ingredients have not appeared in recipes or consider zone friendly. I would not buy this cereal because of these ingredients. sorry, I have a allergy to gluten. I love this cereal. Since I’ve started the Zone diet and using the cereal for breakfast, I’ve lost 35 pounds and still dropping. I wouldn’t have anything else. It’s good, it’s fills me up (though portions are small) and keeps me feeling wonderful till lunch. Love it!! I love the cereal too. It’s the only cereal I eat besides oatmeal. It is amazingly satisfying. Great with some berries. I absolutely LOVE waking up each morning to a Zone-favorable breakfast of mixed berries (straw, rasp, black, and blue), and greek yogurt topped with Dr. Sears’ Zone Breakfast Cereal – giving it just the right amount of taste and crunch! Love love love how im not hungry or even having t resist snacks. I have these sent to australia so i to am a little dissapointed at half full box also. Love it. Crunchy and balanced! Convenient and tastes good. My “Go To” breakfast when I’m in a hurry. this is by default breakfast. Sometimes I will eat other things for breakfast but I always have this in my back pocket (metaphorically speaking).sometimes I will eat 4 ounces for a midmorning snack sometimes I will have 4 ounces for lunch and eat it dry. It fills me up and lasts a long time. I enjoy this cereal very much. I do add a few berry and low fat milk for a very satisfying breakfast or snack. 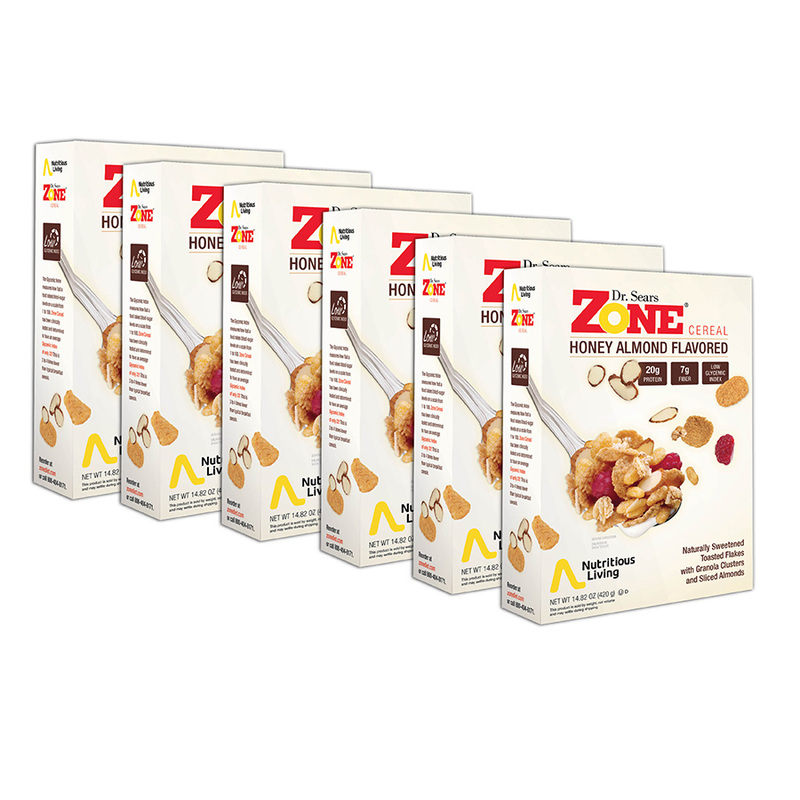 I used to love breakfast cereal in the morning but after adopting the 40-30-30 zone eating plan I had to give it up. 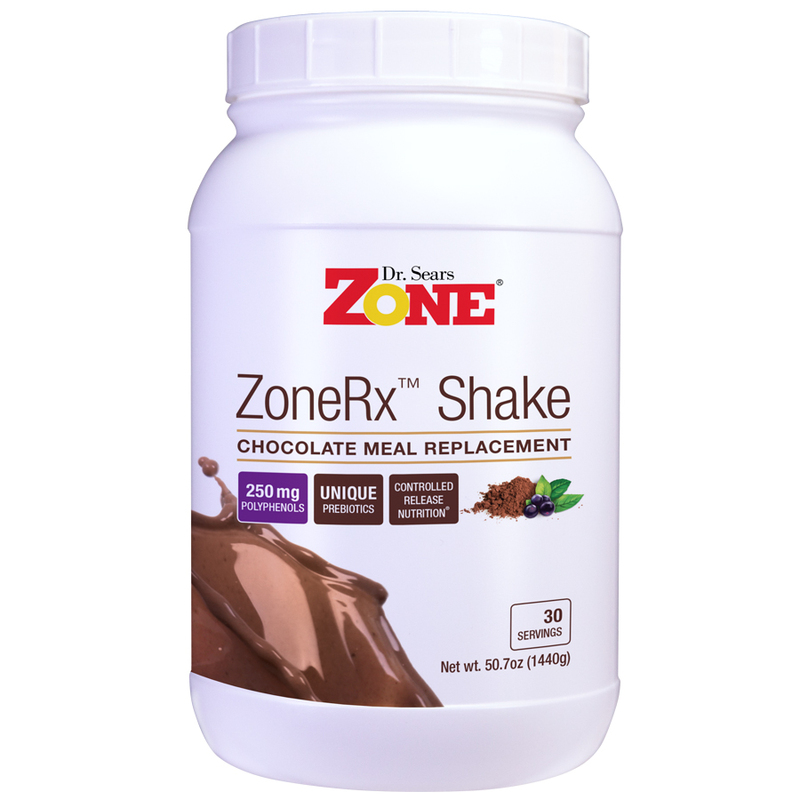 This product makes it so easy and satisfying to stay in the Zone. Thank you!